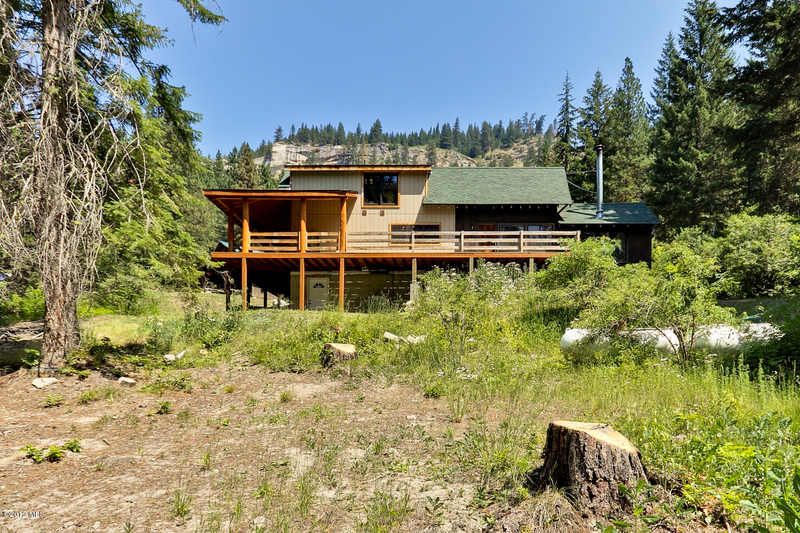 Perfectly nestled on 23+ acres and just 10 miles outside of Leavenworth is this wonderfully eclectic, cedar cabin. The property has a year-round creek offering 2+ bedrooms, 1 3/4 baths, living room & dining room w/tile and wood floors. A gas and a wood fireplace plus electric heat gives you 3 sources of heat and 2 sources of water. This fabulous property features the ultimate ''toy box'' with a 58x48 4 car garage plus heated shop, included within is a 20x22 man room with a 3/4 bath and a sleeping loft! From this fantastic setting you can snowmobile, dirt bike, ATV, or horseback ride right from your front door & you are just 3 miles away from the finest groomed trails. Hunt wild turkeys, grouse, deer & more on thousands of acres few people have access..a piece of mountain heaven.